To identify service boundaries, it is not enough to consider (business) domains only. Other forces like organisational communication structures, and – very important – time, strongly suggest that we should include several other criteria in our considerations. Quite a few of the anti-patterns we observe today on microservices projects are strongly related to how people approach the problem. Given their nature, these anti-patterns tend to be deeply ingrained and self-sustaining. Addressing them starts with increased awareness and by changing ways of approaching the problem, rather than by the introduction of yet another technical tool or framework. Events are obviously the fundamental building block of event-sourced systems. Commands are equally a common concept in such systems although the distinction between events and commands, if any, is not always clear. There are certainly varying views on what role each one should play. OpenCredo recently co-organised the first Microservices Manchester event with OliverBernard recruitment, and it was a resounding success. Over 100 people showed up at the Victoria Warehouse near Manchester’s trendy Salford Quays for a day discussing the realities of implementing microservice systems. Many of our clients are currently implementing applications using a ‘microservice’-based architecture. Increasingly we are hearing from organisations that are part way through a migration to microservices, and they want our help with validating and improving their current solution. These ‘microservices checkup’ projects have revealed some interesting patterns, and because we have experience of working in a wide-range of industries (and also have ‘fresh eyes’ when looking at a project), we are often able to work alongside teams to make significant improvements and create a strategic roadmap for future improvements. Microservice-style software architectures have many benefits: loose coupling, independent scalability, localised failures, facilitating the usage of polyglot data persistence tools or multiple programming languages. However, they also introduce other challenges. A major one is the fact that the end-user functionality of the system will ultimately emerge as a composition of multiple services. This significantly increases the complexity of deploying the system. In addition, because we lose the concept of “versions” of the system, it becomes harder to answer questions like “what capabilities are in production?” and “when is a new feature considered ‘done’?”. The OpenCredo team will be presenting two sessions on our recent learnings with implementing microservices at the OOP Conference, which will be running from the 1st – 5th February. We will also be running a booth, and so if you are interested in learning more about our recent projects, are keen to see if we can help you with your latest technical or organisational challenges, or want to join our team, then stop by and say hello! Many of our clients are in the process of investigating or implementing ‘microservices’, and a popular question we often get asked is “what’s the most common mistake you see when moving towards a microservice architecture?”. We’ve seen plenty of good things with this architectural pattern, but we have also seen a few recurring issues and anti-patterns, which I’m keen to share here. In May a 1.0 release of RAML (RESTful API Markup Language) has been announced delivering a few much welcome additions in the RAML 1.0 specification. This major release marks an important milestone in the evolution of RAML and indicates the team behind the specification is confident this release delivers the comprehensive set of tools for developing RESTful APIs. I’ve been using RAML 0.8 for several months now and have enjoyed the simplicity and productivity it offers for designing and documenting APIs. I must say I’m quite pleased with the changes introduced in the new release and would like to review those I consider particularly useful. It was once again a privilege to present at the annual ‘muCon 2015‘ microservices conference held in London (at the shiny new Skillsmatter CodeNode venue). Based on feedback fro talks I gave earlier in the year, I presented a completely new version of my ‘The Business Behind Microservices‘ talk, which focuses on the organisational and people side of implementing a microservice-based application. To use or not to use hypermedia (HATEOAS) in a REST API, to attain the Level 3 of the famous Richardson Maturity Model. This is one of the most discussed subjects about API design. The many objections make sense (“Why I hate HATEOAS“, “More objections to HATEOAS“…). The goal of having fully dynamic, auto-discovering clients is still unrealistic (…waiting for AI client libraries). However, there are good examples of successful HATEOAS API. Among them, PayPal. Over the past few weeks I’ve been writing an OpenCredo blog series on the topic of “Building a Microservice Development Ecosystem”, but my JavaOne talk of the same title crept up on me before I managed to finish the remaining posts. I’m still planning to finish the full blog series, but in the meantime I thought it would be beneficial to share the video and slides associated with the talk, alongside some of my related thinking. I’ve been fortunate to work on several interesting microservice projects at OpenCredo, and we’re always keen to share our knowledge or offer advice, and so please do get in touch if we can help you or your organisation. Once again I’m privileged to be speaking at the premier Java conference, JavaOne in San Francisco. This year I will be presenting (at least) three conferences sessions: “Building a Microservice Ecosystem”, “Debugging Java Apps in Containers” and “Thinking, Fast and Slow, with Software Development”. I say ‘at least’ three talks as I usually get press-ganged volunteered into helping out at other talks and BoF sessions, but this is simply a sign of the great community spirit and a large group of friends involved with this conference! Unless you’ve been living under a (COBOL-based) rock for the last few years, you will have no doubt heard of the emerging trend of microservices. This approach to developing ‘loosely coupled service-oriented architecture with bounded contexts’ has captured the hearts and minds of many developers. The promise of easier enforcement of good architectural and design principles, such as encapsulation and interface segregation, combined with the availability to experiment with different languages and platforms for each service, is a (developer) match made in heaven. Over the past five years I have worked within several projects that used a ‘microservice’-based architecture, and one constant issue I have encountered is the absence of standardised patterns for local development and ‘off the shelf’ development tooling that support this. When working with monoliths we have become quite adept at streamlining the development, build, test and deploy cycles. Development tooling to help with these processes is also readily available (and often integrated with our IDEs). For example, many platforms provide ‘hot reloading’ for viewing the effects of code changes in near-real time, automated execution of tests, regular local feedback from continuous integration servers, and tooling to enable the creation of a local environment that mimics the production stack. We’re pleased to begin our series of OpenCredo webinars with “The Business Behind Microservices”, which takes a look at the some of the business and organisational challenges that come along with the decision to implement microservices. Over the last few months one of my main projects at OpenCredo has involved creating various microservices which are interacted with via REST. We’ve been working with a relatively rich domain model, which in turn has presented a lot of challenges in how to design our various resources. This blog post aims to summarise various techniques and practices which I’ve found helpful in overcoming these challenges. Recently I co-presented a talk at Goto Amsterdam on lessons learnt whilst developing with a Microservices architecture; one being the importance of defining and documenting your API contracts as early as possible in the development cycle. During the talk I mentioned a few API documentation tools that I’d used and, based on feedback and questions from attendees, I realised that this topic merited a blog post. So, the purpose of this is to introduce 5 tools which help with designing, testing and documenting APIs. One of the pain points experienced with developing microservices is that it often proves too cumbersome to replicate an environment for local development. This usually means the first time an application talks to its “real” dependencies is when it gets deployed to a shared testing environment. A relatively laborious continuous integration process usually precedes this deployment, making our feedback cycle longer than we would like. 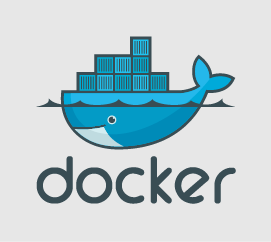 In this post I describe a workflow that aims to improve that, using Docker and Docker Compose (formerly known as fig). Undeniably, there is a growing interest in microservices as we see more organisations, big and small, evaluating and implementing this emerging approach. Despite its apparent novelty, most concepts and principles underpinning microservices are not exactly new – they are simply proven and commonsense software development practices that now need to be applied holistically and at a wider scale, rather than at the scale of a single program or machine. These principles include separation of concerns, loose coupling, scalability and fault-tolerance. Last year some of us attended the London Spring eXchange where we encountered a new and interesting tool that Pivotal was working on: Spring Boot. Since then we had the opportunity to see what it’s capable of in a live project and we were deeply impressed.